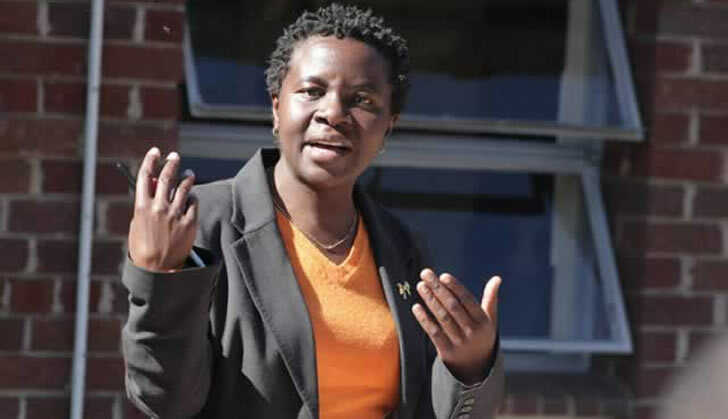 Harare West MP Jessie Majome has lamented that water woes that affected Mabelreign suburbs in Harare were caused by the abuse of bank loans which were acquire for the water infrastructure construction. "Our water woes in Mabelreign -dry taps since Tuesday are no doubt contributed to by this," she said. "It's been a tough (dry) week that made me think of asking for bath facilities from luckier fellow Harare Westerners!" She said in her way from church on Sunday morning and en route to pack and catch the Parliament bus to Bulawayo for public hearings she squeezed in an investigative visit to Harare Water at Mabelreign shops Works Yard. "I was told by one 'Muparidzi wekwaMwazha' that the water cut to most of Mabelreign was caused by a burst aged mains pipe near Albury and Warbury Roads which caused council to close off valves to most areas," she said. "He said the pipe replacement was delayed because it wad covered by tough concrete which is resistant to pick axes." "He said they had just got a JCB machine to break the concrete so they could replace the piping by a piece that was in their truck outside. He said they hoped to fix the problem by today and if not tomorrow." She said she left for Bulawayo praying water would return in the dry areas including her home. "I am thrilled to note from Emmanuel Thomas that it's back in at least one area. I will continue to urge you Harare Westerners to approach council directly on council services problems like this, and also let me know so that our voices together can have impact," she said. "I also took the opportunity to find out why there's always, for years! a raging river of treated water down Aurora Terrace in Meyrick Park. I was told it's due to the need to replace the tanks' ball valve. I suggested they use a simple manual method of preventing overflow by timing how long the tank takes to fill and empty. Mudzisi promised to tske up my suggestion - I hope to see results." Majome said when she return she will pressurise council to restore water to Sentosa as promised, and repair and maintain boreholes she drilled for times like these with my 2011 Constituency Development Fund and donated to council at Sherwood Dve, Ashdown Drive, Marborough Civic Centre and Chichera plot -please do so too- they are people's boreholes. "Let's also continue to press for water bowsers during cuts as we not only have a right to water, but pay rates for services," she said.